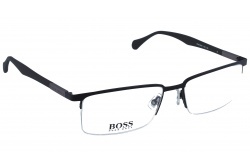 Hugo Boss is a German luxury fashion brand, founded in 1923, in Metzingen (Germany), by Hugo Ferdinand Boss. 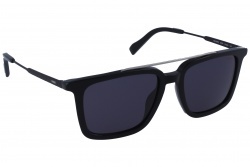 It started manufacturing clothes. After many years of ups and dows, Hugo Boss passed away in 1948, leaving his business to his son and son-in-law. 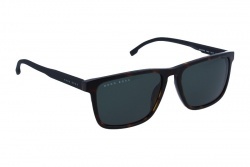 They focused their activity on manufacturing men suits. 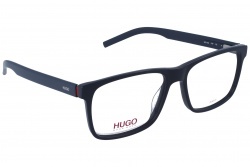 In 1970, the brand started to grow in a way that, after creating different lines aimed at young and not so young people, in 1993, they decided to expand their range of products to make-up, fragrances and eyewear, apart from clothing. 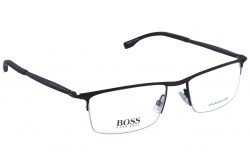 Hugo Boss's frame models are, most of them, square shaped, well defined and they do have sophisticated designs. 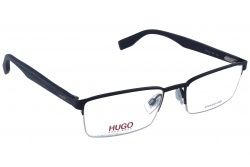 They use the best acetates and the best metals for their frames. 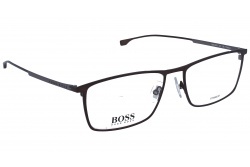 Hugo Boss's glasses have the highest quality and durability.